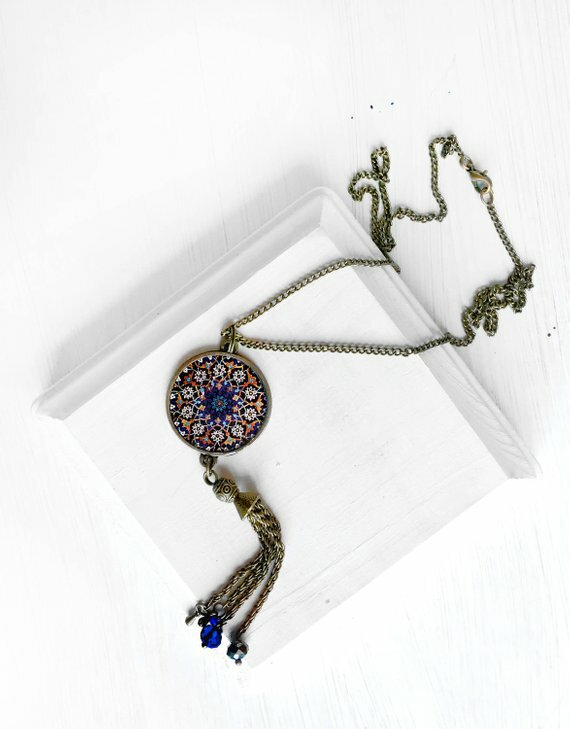 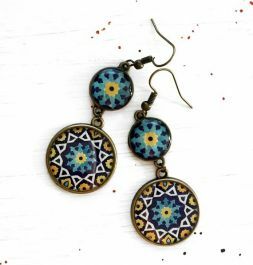 This beautiful, one of a kind necklace features a round pendant that has an old Persian tile pattern, coated with a layer of glassy resin to make it shiny. 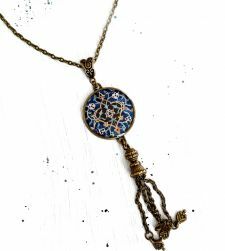 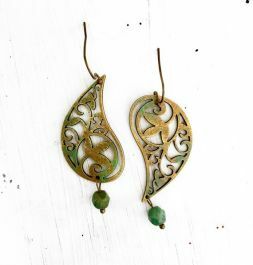 The pendant dangles from a 24 inch brass tone chain (including the clasp). 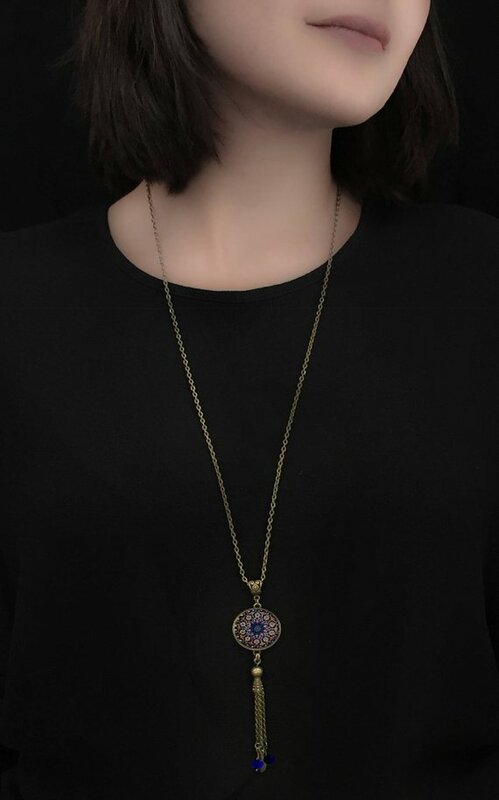 The round pendant is in antique brass tone made of Zinc Alloy Metal (Lead & Nickel Free) and measures about 1" in diameter and about 3.5" plus the fringe.